In Virginia, you can expect to find good Southern-style food just about anywhere. But if you’re looking for that special place where the food showcases the heart of Virginia cuisine, where the plates are small but the flavors are big, where the beers boast the best of the state, and where the atmosphere is the perfect balance between modern and cozy, then you need to meet the new kid in town. Because that’s exactly what Pasture brings to the table. Although new to Charlottesville, located in the Stonefield shopping area, Pasture is already an experienced and successful restaurant that started in Richmond several years ago. Pasture was brought to life by Jason Alley and Michele Jones, who together share 55 years of restaurateur experience. Lucky for us, they brought their refined design aesthetic and re-defined Southern cookin’ a little further west to Charlottesville. On an after-dinner-rush-high during their opening week, Michele (co-owner) & Jason (co-owner/chef) sat down to reflect on Pasture’s journey, the new Charlottesville location, the food, the style, and that famous Pimento cheese. Originally from Pulaski, Virginia, Jason Alley grew up cooking with his family. Although he attended JMU, after a year he found college wasn’t for him. Instead, his job as a dishwasher over at the nearby Spotswood Country Club began to draw more interest from him. As he continued to work and learn, he started moving up in position in the kitchen. His skill soon allowed him to the chance to take on sous chef & executive chef positions in Illinois, and later in Georgia. However, in order to be closer to family Jason eventually moved himself and his family back to Virginia, taking a position at the Europa Café & Tapas Bar in Richmond. While at Europa, Jason met Chris Chandler, and where the two began to talk about the idea of simple southern food and what they could do with it. Very soon after that, the two of them opened the first Comfort restaurant in Richmond in 2002. A second Comfort restaurant followed in Portsmouth, VA in 2008. Although the downturn in the economy at that time resulted in the restaurant’s closure, it was through this that Jason met Michele Jones, another local Virginian from Virginia Beach. From there, Jason and Michele started looking at what to do next. “When you close a business, you doubt yourself. 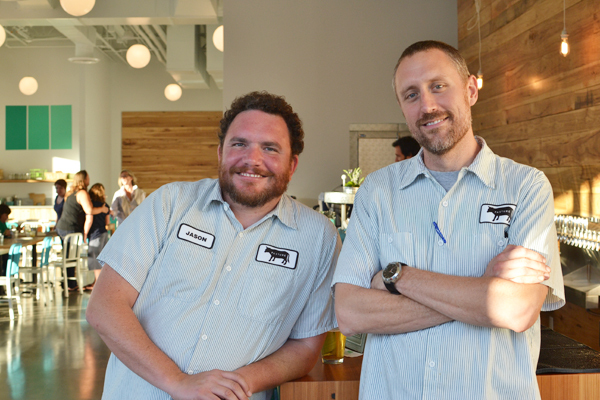 We were gun-shy after the closing,” Jason said. Although Comfort was based on serving Southern-style dishes, Jason wanted a smaller place, and with smaller plates. 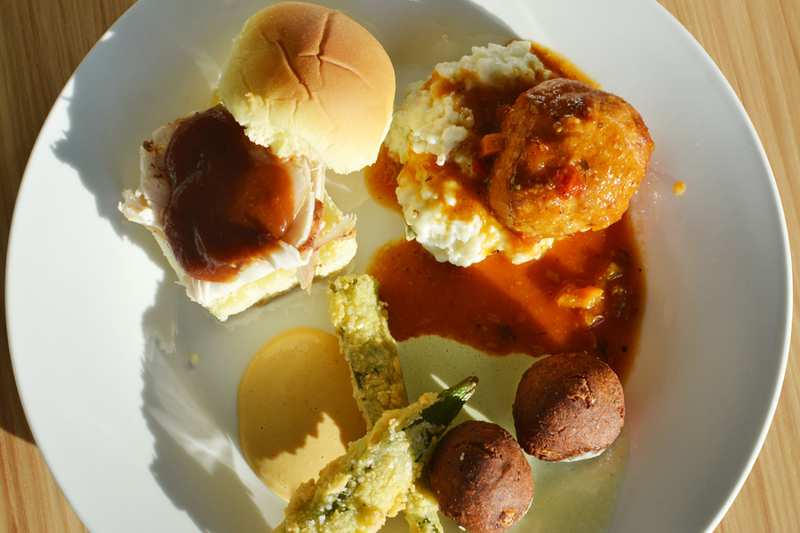 “We wanted something different than Comfort, but still family-related and still Southern-style food,” Jason added. Jason & Michele began to think about repeating without simply copying and pasting. From this, the first Pasture opened in downtown Richmond in 2011. The idea of bringing Pasture to Cville initially began with EDENS, the development group behind the Stonefield shopping center. 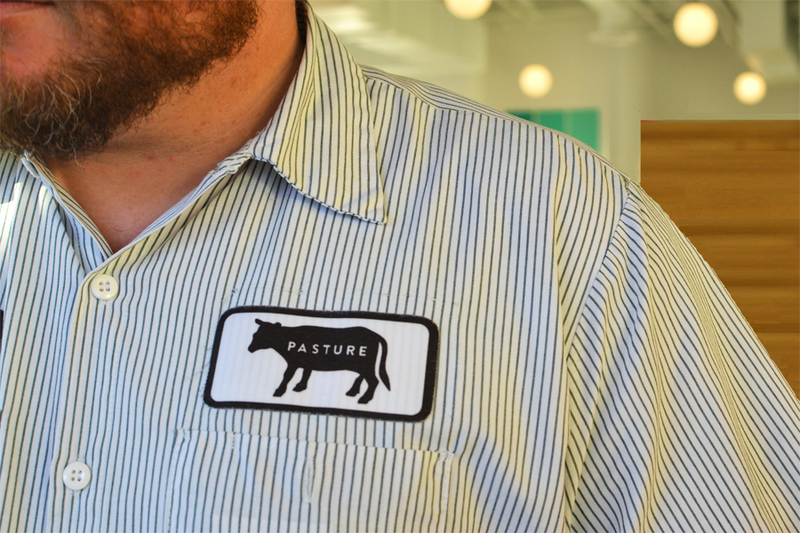 Knowing of their success in Richmond, EDENS approached Jason & Michele about opening another Pasture in Charlottesville. Although Jason was initially reluctant about opening up in a shopping complex, Michele pushed for the opening, especially given the potential business that could be generated from the spot (located across from the new Regal theater in the Stonefield complex). Comfort and the first Pasture were located in renovated historical buildings, but this Pasture would be opened in a brand new building, a move that both Jason and Michele were interested in seeing through. The interior design of both Pastures were handled by Michele and Jason’s wife, Mercedes, who is also experienced in theater set design. 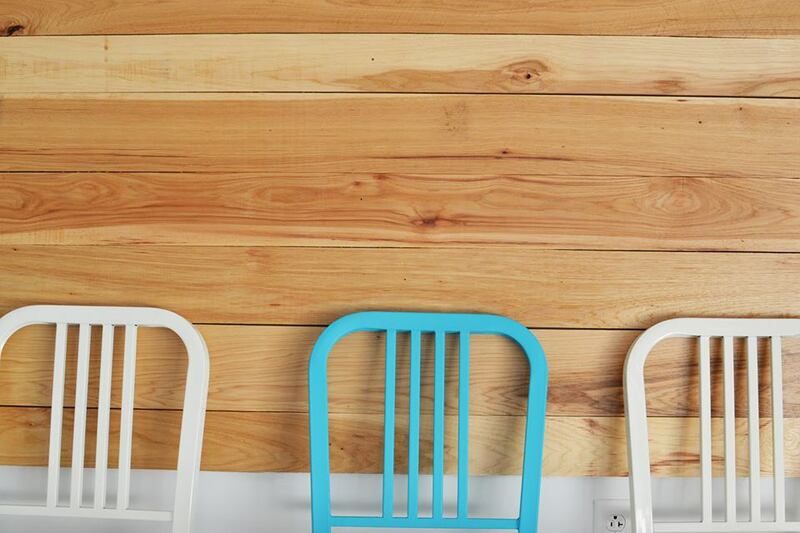 Using items such as teal hues for the palette and re-purposed wood, the pair created a dining space that is both fun and functional. They also added unique items to each Pasture restaurant; for instance, in the Cville space, painted AB carts were added as well as a large map of Virginia on the side wall. Another recent touch they’ve added was using leather belts in place of drawer handles behind the bar. For those first-time-diners who visit Pasture, Michele and Jason were quick to suggest the Pimento cheese and Ritz crackers from the Snacks section of the menu. Do not let the typical ‘cheese and crackers’ sway you from ordering this dish. Cheese dip and crackers may not seem like much, but after just one taste, you will see what everyone is raving about. Even after running out of crackers, licking the bowl is completely acceptable – and encouraged. Jason shared that the kitchens go through huge amounts of Pimento cheese alone. Between Comfort and the Pasture in Richmond, the kitchens go through 50-60 lbs of Pimento cheese per week. With the new Pasture, that number is now up to about 75-80 lbs per week. Michele: Frito pie – vegetarian chili, cheddar cheese, & onions – and Seafood stew – shrimp, clams, seafood sausage, tomato-saffron broth, & sopping bread. Jason: Steak tartar – served with jalapenos, chili ketchup, and a quail egg – and Country Captain (see below). Jason listed the Pimento cheese and fried okra among the Southern food favorites, including a dish called Country Captain, which consists of a roasted half chicken served with a tomato/curry gravy, rice, and beans – a favorite dish in Savannah, Georgia. However, patrons can select from a long list of hearty Southern dishes, such as pork rinds, a ‘gourmet Big Mac,’ and black-eyed pea falafel. 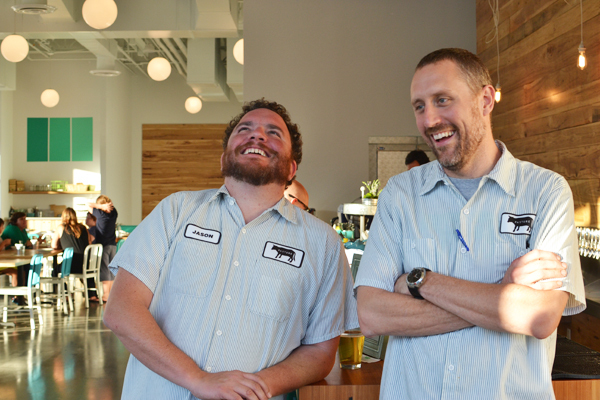 With his Richmond restaurants, Jason worked with local business Victory Farms for his produce. With the Cville Pasture, not much will change, and Jason will continue to source food from local farmers and producers in the area. Although vegetable choices will be expected to change with the different seasons, the protein changes will be few. In addition to offering local beers and wines, Pasture also offers whiskeys and specialty cocktails. At Comfort, patrons have over 120 different whiskeys to choose from. The list at Pasture is much smaller, but is also more cocktail-focused, offering a variety of unique drinks created by their mixologists. 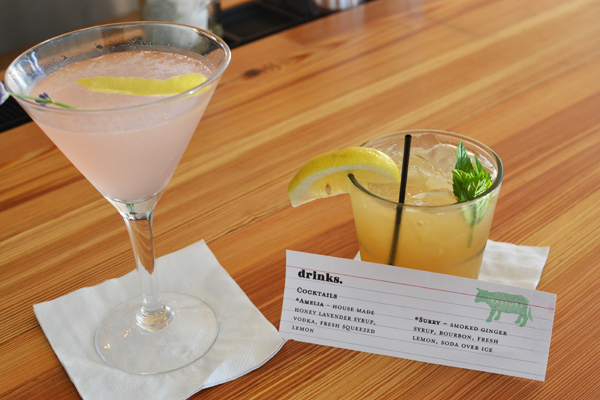 And in their true Virginian spirit, each of their cocktails is named after a different town or county of Virginia. Pasture also has 16 beers on tap, for those interested in a cold brew. A notable drink was The Flint Hill, a drink involving Wild Turkey rye, lemon juice, grapefruit syrup, bitters, and Terrapin rye draft. The mixture of beer and whiskey was a welcome new taste, and one worth trying. For those that prefer the non-alcoholic drinks, Pasture offers sodas from Boylan’s. Although not as cost-saving as the normal soda fountains, Pasture preferred to use Boylan’s since all their sodas are made using natural cane sugar. Jason carries a personal philosophy of always wanting to do something better, and chose Boylan’s especially since it is a better alternative than serving sugary sodas. 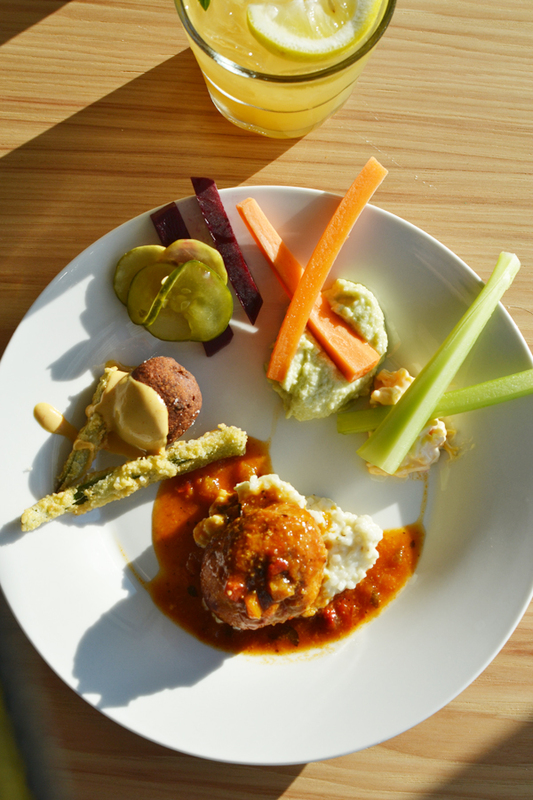 Come out for Pasture’s Happy Hour from 4-7pm for half off Snacks and drink specials at the bar! Tomato sandwich served on Sunbeam white bread with Duke’s mayo and salt & pepper. If you could leave this job and do something else, what would it be? “Playing in my band.” In his free time, Jason plays in his band Los Ramones, a Spanish Ramones cover band. What is the best part about your job? What’s the toughest part of the job? Best: The instant gratification I get from my work and having happy guests. Worst: Spending time away from the family. Describe Pasture in 7 words or less.